I don’t know if it’s because it’s the beginning of the New Year, but I’ve been doing a lot of pinning lately. I typically pin to pass some time during my commute or on a Saturday morning with my coffee (cliché blogger, anyone?) but lately I have been pinning more and actually looking ta my boards to find new ways to wear what I have in my closet or think about small ways to improve our apartment. Here are a few things I’ve been pinning lately, in case you care to see. 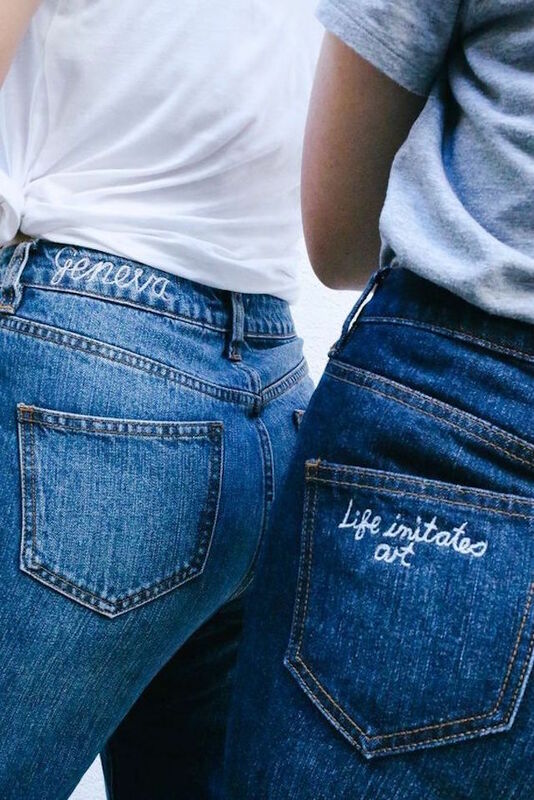 Have you noticed the monogrammed denim trend popping up? Inspired by this pin, I’m thinking of personalizing a denim jacket on Madewell. For more denim inspiration, visit my WEAR: Denim Days board. Our bedroom furniture is all hand-me-downs and I’ve been thinking of ways to freshen (and lighten) it up since it’s dark wood. 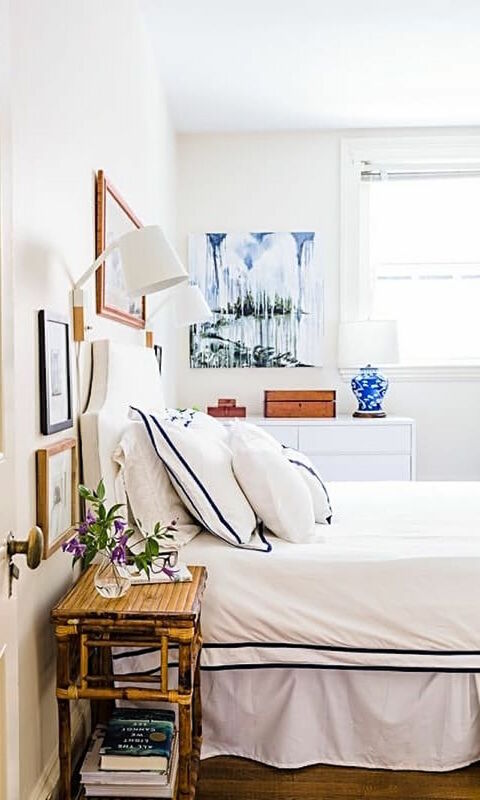 I pinned this bedroom and love everything from the navy piping on the bedding to the bamboo bedside table. For more bedroom inspiration, visit my DECOR: Bedrooms board. I have been seeing shearling everywhere and love this leather + shearling coat. This IRO one is to die (and has the price tag to match) but I also love this affordable camel one from BB Dakota. See more current wishlist items on my WEAR: Closet Cravings board. This image makes me miss London and my family there! 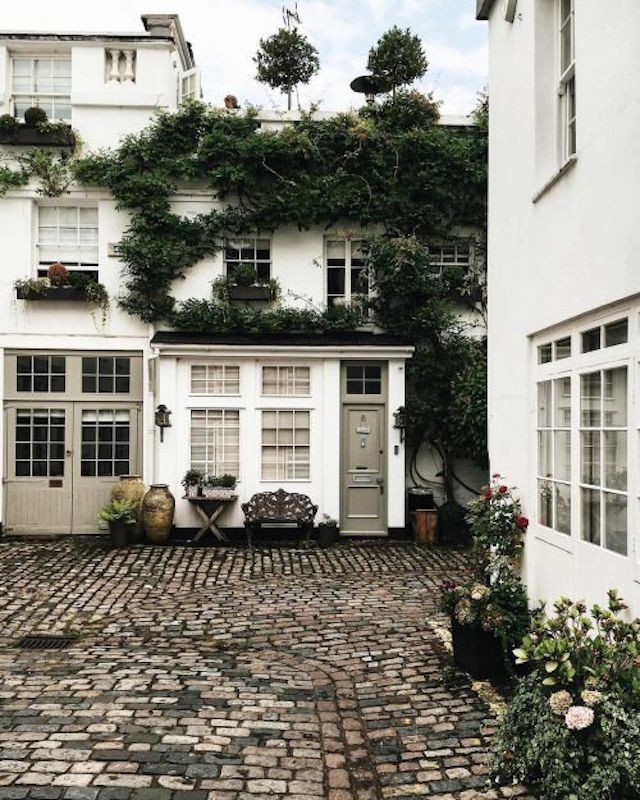 See more cityscapes and dreamy images on my THE CITY board. 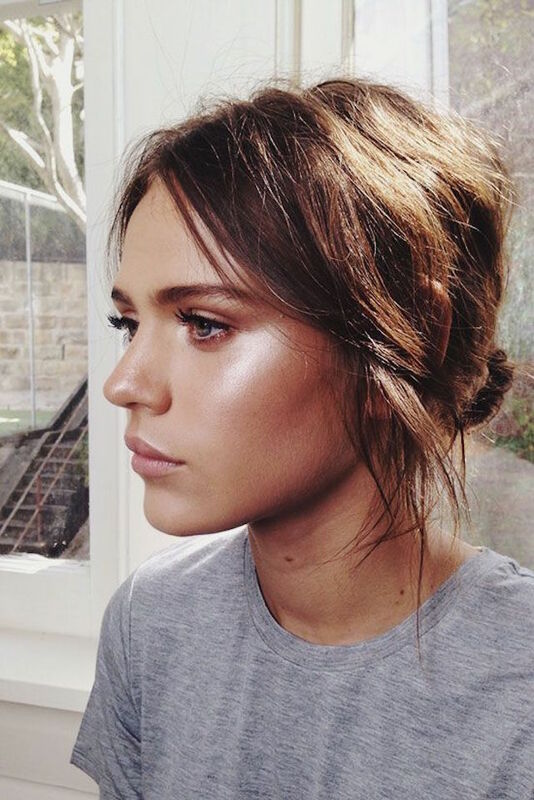 I was slow to embrace the highlighter trend, but I love my Glossier luminizer and this image is making me want to kick it up a notch. I’m pinning more beauty looks on my BEAUTY: Makeup + Nails board.